Although I wrote my last thought about creating unique tests per student and discussed how to harness the computer for automatic grading purposes, I firmly believe that those types of assessments are only valuable as formative learning moments when students need to understand basic facts prior to creating higher level thinking assignments or prior to moving to the next level of understanding. The real observation of a student’s growth is in the project, written response, presentation, and long answer question, and this is why it is so vital to make unique prompts to promote individual responses and not easily copied responses. 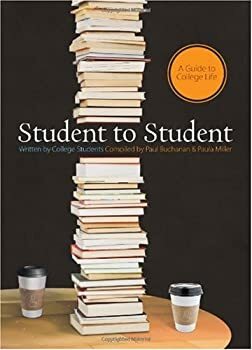 Students are going to use the Internet, your textbook, its resources and links, friends, and the library’s resources to search for ideas when they are writing responses so your prompts need to be unique, clear, and scaffold. For example, I know of a history teacher that writes prompts that put the learner in a time period and place, and he requires the learner to write from the perspective of a normal person during that time period. I also know of a communications instructor who actually makes students go out into the public with their project and communicate to live audiences. Both of these projects include clear rubrics to help the learner reach the desired goals of the instructor. As for math and sciences, I have seen teachers ask students to teach a math problem, and I have watched very interesting descriptions of “my life as a cell”. Once again projects are written that force unique perspectives from the student with clearly written rubric guidelines for the desired outcomes. These projects, hence, are difficult to copy. Many instructors who are new to this type of project creation are concerned about grading. This is why you must create a rubric for the desired outcome and tailor the project clearly with scaffolding. Once you create the first one, you will see how easy it is to change the rubric slightly and the project scaffolding slightly from term to term to continue to get unique project submissions. In conclusion, these projects not only force unique responses, they require a generation to think, to express, to present, to support with fact, and to discern the material. Isn’t that what we need in today’s world? Most online learning management systems have quiz creation tools with unique settings on them to insure unique test generations per student; consequently, online teachers can deliver unique instances of their tests or quizzes to their students so that cheating possibilities are limited. These capabilities are allowing instructors to rethink the test taking time in more traditional settings also and many teachers in hybrid and on campus courses are beginning to set up quizzes and tests for remote test taking too. If you are planning upon implementing this strategy in your course, make sure that you implement some of the most common settings of your quiz tool in your course management system. One important feature setting is simply time. Setting the timer for a student who takes your test is important. By limiting the time a student may be involved with your test, you are forcing the student to be well prepared with the knowledge prior to taking your test. Do not be lenient with this time as you can make exceptions for individual needs by allowing special access for an individual or letting another individual retake the test if needed. Additionally most learning management systems allow you to randomize quiz question answers and quiz question order. Because these systems just need you to specify a correct answer, you can manipulate the test engine to produce a random order of questions and a random order of question answers per question of an individualized student test. For example, student A could have question 1 with answer B as correct, but student B would have that same question appear as question 9 with answer C as correct. The power of computing gets harnessed when these settings are applied, and students will have to concentrate upon their own test and own test answers instead of their friend’s test. Furthermore most course management system quiz tools are allowing you to take a set of questions from a pool of questions. Which means that you are able to create unique sets of questions based upon many questions of the same value. Many teachers are combining textbook questions with their own personalized questions and they are finding that they have too many questions for a test. Consequently, if valued properly a teacher could have the computer select a set of questions from that pool of questions. For example, two students could receive different questions or some partially different questions on a test instance that selects ten questions from a pool of twenty questions. With all of the above solutions applied, you can begin to see how a test could be unique per student. A student could have a unique set of questions in a unique order with unique answer orders that have to be completed in a limited amount of time. Thus eliminating reasons for students to even try to collaborate on your exam because there are too many factors that would create false or antiproductive cheating scenarios. For further information or more detailed examples please feel free to email me directly upon this topic. I like the way computer science can be applied to test questions, tests, and test settings to create a unique environment that gets graded automatically. Next time, I will discuss creating unique projects for your students to lower the chances of cheating. It is all in the language that you use, the expectations that you created, and the objectives of the assignment. PRINCETON, NJ, October 28, 2014 – edWeb.net and the Congressional Medal of Honor Foundation (CMOHF) will present a special live webinar, “Heroism in the War on Terror: An Interview with Clint Romesha, Medal of Honor Recipient,” on Tuesday, Nov. 4 at 1 p.m. Eastern Time. Teachers are invited to bring their students and their questions as they listen to Medal of Honor Recipient, Clinton L. Romesha, Staff Sergeant Bravo Troop, 3rd Squadron 61st Cavalry Regiment, 4th Brigade Combat Team, 4th Infantry Division. Staff Sergeant Clint Romesha was awarded the Medal of Honor for his actions in the October 3, 2009 battle at Outpost Keating in the Nuristan Province of Afghanistan. Five years later, in this interview with Medal of Honor Foundation President Ron Rand, Romesha will reflect on that day and the direction his life has taken since. Now a working civilian, husband, father, and one of the youngest of the 79 living Medal of Honor recipients, Romesha dedicates some of his precious free time to sharing his story with teachers and students. During this webinar, he will take questions from the audience and share his thoughts on his experiences. To join this important event, teachers can register here. Teachers are encouraged to submit a question from their students for Mr. Romesha. edWeb.net and the CMOHF have created an online professional learning community that is free and will host webinars and online discussions on the important concepts of courage, commitment, sacrifice, patriotism, integrity and citizenship. The webinars will provide an opportunity for Medal of Honor Recipients to discuss the importance of character and speak directly with teachers and students on their experiences. The webinars will be facilitated by an educator from the Medal of Honor Foundation and will include demonstrations on how to use the curriculum in the classroom. If you are an educator, join the free learning community, Lessons of Personal Bravery and Self-Sacrifice: The Medal of Honor Character Development Program, to stay informed about upcoming webinars, join in on discussions with peers and experts, and gain access to valuable resources. The title simply states a goal for all administrators and school communities. As technology improves so do the needs for teachers to teach with those technologies and to provide lessons that allow students to create with those technologies. Because teachers have little time to be trained, timing is always an issue, and realistic goals should be assigned to allow for these changes. Also in class sessions, while valuable for teachers, are only successful when “just in time” learning approaches are designed to support the teacher during the school year. As we look at the ARCS model of adult learning theory, educational technologists need to keep in mind that most adult learners especially teachers know what they need to learn. Therefore, making that learning relevant (the R in the model) is extremely important. One on one sessions with faculty can help them design lessons that use the current technology or that can help the teacher create better learning scenarios with that technology. Teachers also find satisfaction (the S in the model) by getting immediate feedback in a personalized learning environment where they can ask a technology expert for specific skills or creative lesson planning that is unique to his classroom. Confidence (the C in the model ) is extremely important for an educational technology program as teachers who do not feel confident will simply not use the the tool nor provide the projects for the student. Educational technologists need to be present for the “just in time” support as teachers do not always know what the technology will bring about in the process of teaching or what students will need during the project. Open labs with after school support and free period support are great ways to increase confidence among students which then leads to the teachers seeing value in assigning these types of projects again. Attention (the A in the model) is the hook to get the student and/or teacher to try the technology in their projects. Teachers know that technology grabs student attention, and they know that the technology can be a valuable tool for knowledge transference. However, what are we doing to remind them of that? Best practices must be researched and provided as additional resources for teachers in your school. They can understand a great project (end result) easily, and they will use or modify the best elements of it in their own lessons. New approaches and best practices are in constant need of sharing. A community that shares ideas either within the school or through local conferences with other schools is growing from the reflection of others and the evaluation of how technologies can work in their individual classrooms. Educational communities are better when they are reflecting the craft, sharing ideas, and improving lessons, and educational technology should simply be an extension of an this type of educational community.